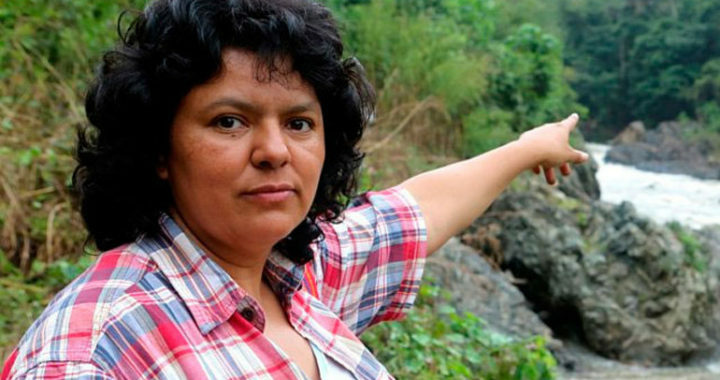 NEW YORK—The National Lawyers Guild (NLG) is demanding justice and accountability for the March 2, 2016 murder of internationally acclaimed indigenous and environmental activist Berta Cáceres in her home. The NLG sent a letter on July 25 urging the Honduran judiciary to ensure that the upcoming trial of eight defendants charged in Cáceres’s assassination comports with domestic and international standards for a fair legal process. At an evidentiary hearing starting today, the court will determine the evidence the prosecutors, defendants and victim’s family are permitted to present at trial. To guarantee a full accounting of the crime, the court should allow evidence that unveils the full nature and extent of the criminal enterprise that planned and executed the murder, not merely its material authors. The judicial process for those charged with the murder of Cáceres is a critical opportunity to begin to dismantle the structural impunity that pervades and corrodes the Honduran justice system. This necessarily includes unmasking the criminal structures parallel to the State that, in partnership with business interests, international funders and transnational actors, appear to comprise the far-reaching plot to assassinate Cáceres. The NLG echoes the deep concern that because State actors and those whose interests the state has historically protected seem to be implicated in this crime, the hearing will lack impartiality and eclipse the context, scope and magnitude of the murder, failing to comply with fundamental standards of a fair and public trial. Irregularities in the process have already engendered concern. These include the refusal of the prosecutors to provide the defendants and victim’s family with evidence they have repeatedly requested, and to which they are entitled under law. This failure may shield the crime’s intellectual authors and provide the defendants with grounds to appeal. Either outcome undermines truth and justice for Cáceres. Download the letter in English or Spanish. Posted in Press Releases and tagged Environmental Justice, Honduras, Indigenous Peoples, International Human Rights, NLG International Committee.